It is 24 Carat Gold plated with natural stone. 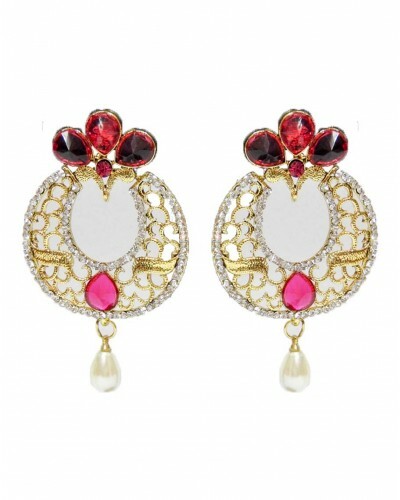 Stunning addition in your Jewellery collection. Widely used during grand celebrations and occasions. • Disclaimer: This intricate jewellery product is handcrafted and may have slight imperfection and/or mismatch from the product shown in the image as its handcrafted by the artisan which makes the product unique.